For students to get in the teacher’s role is priceless. Most of them worked so hard over the schoolyear, but except their teachers and classmates, no one else had a chance to see that. 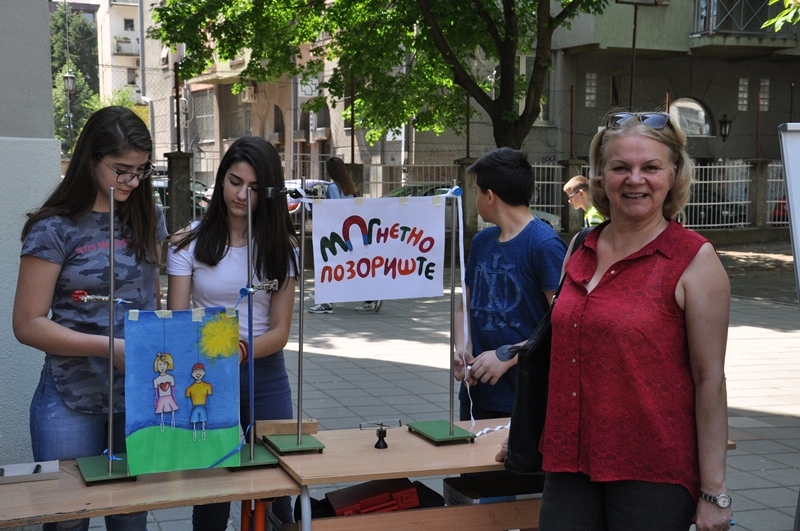 And what about a promotion of their work outside the boundaries of classroom or even school? 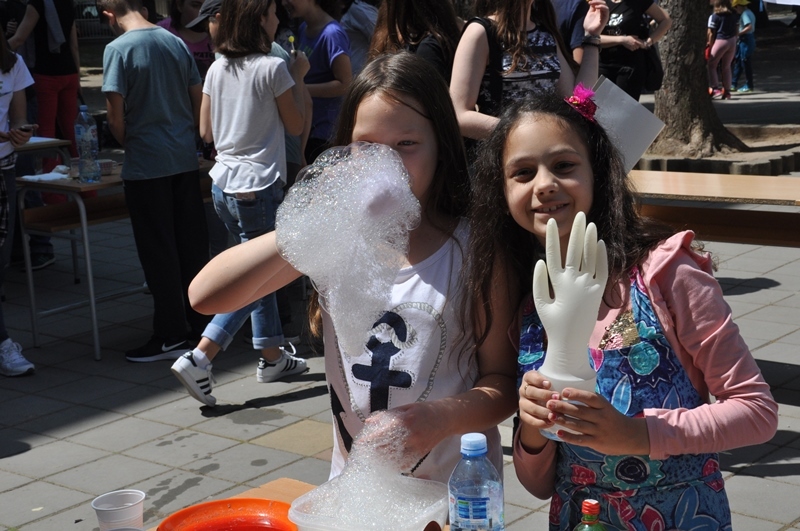 Students of primary school “Učitelj Tasa” from Niš decided to open up themselves to the public and called upon the people to join them in celebrating science in their most likable form. From Magnetic theater to The color of everything – the eye of the beholder there were 46 exhibits on 67 class tables spared across school yard. 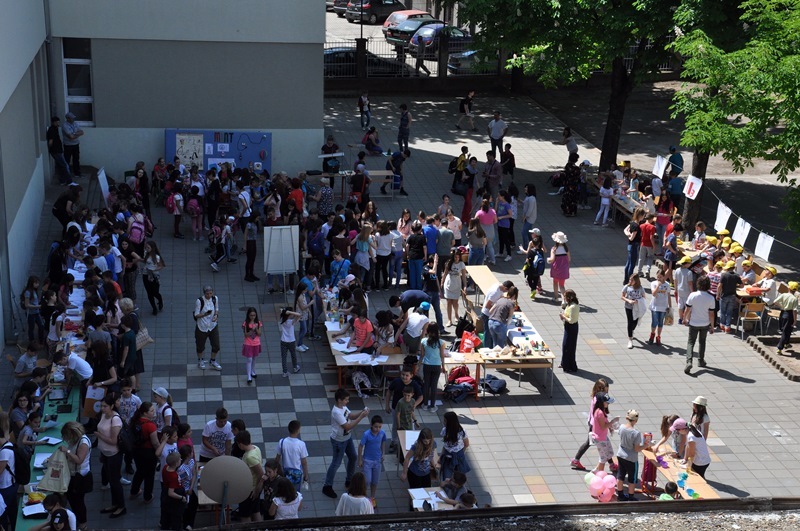 Students had a chance to promote their work to other students, to neighbors, parents, relatives, city officials, the media… anyone who find interest in such an event. And many did appear. We decided to call it simply – MINT (Matematika, Informatika /Inžinjerstvo, Nauka, Tehnologija – Serbian STEM). What was the path to a final product? 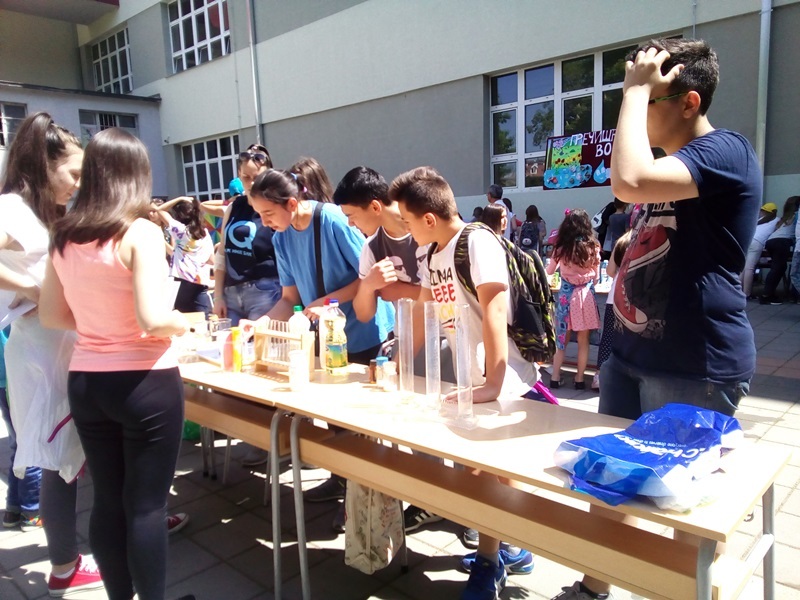 After the invitation to participate in science fair, students had to decide what kind of science project will be most suitable for exhibition. This dilemma made them go through all the work they have done over the school-year. Then they had to prepare, both material and narrative because they had to become experts in chosen field for a day. And after all the preparation there is a matter of public appearance, which for some wasn’t even a challenge, but for the others it was a ground breaking experience. From posing question and looking for an answer, to finding evidence and pursuing the solution, it was an exciting journey. 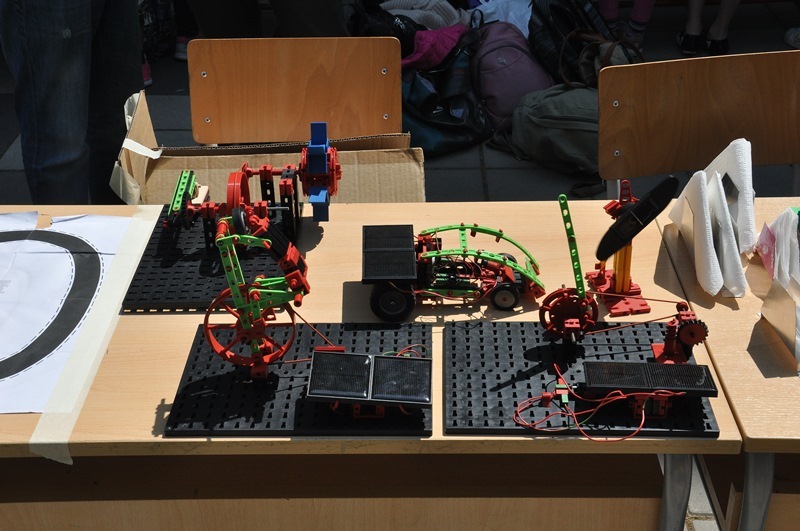 But one product that we didn’t expected was a students of different ages decided to team up in exploring field/phenomenon of same interest. Personally that was most exciting moment at the fair. And how to have science fair without a chance to ask an expert something. 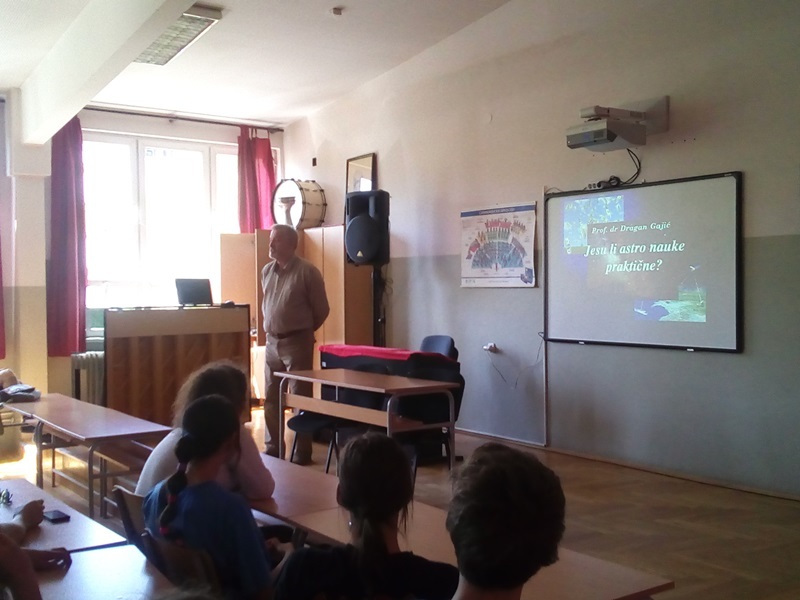 So we had a guest speaker – prof dr. Dragan Gajić who introduced them self as “a lover boy who is in relationship with astronomy”. 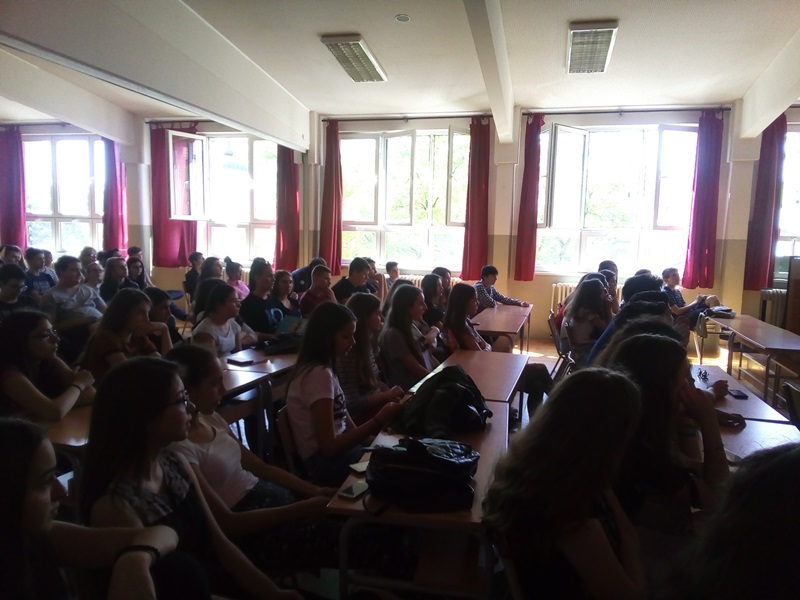 Students that will soon go further in their education, secondary school, had a chance to hear more about how astroscience can be practical. Having a chance to observe students in action, their serious faces, commitment and passion, we conformed the hypothesis that science fair was just what they’ve needed this year. 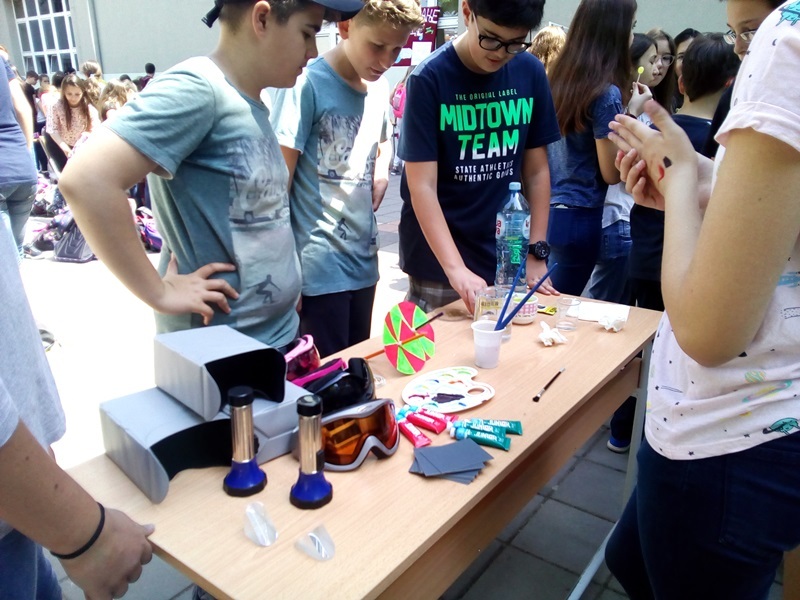 After this activity I’m sure that many will continue their work with more passion and motivation, others will find interest in incorporating science in art and music, and some of them will go with cross institutional science projects…. or just make sci-fi movies.